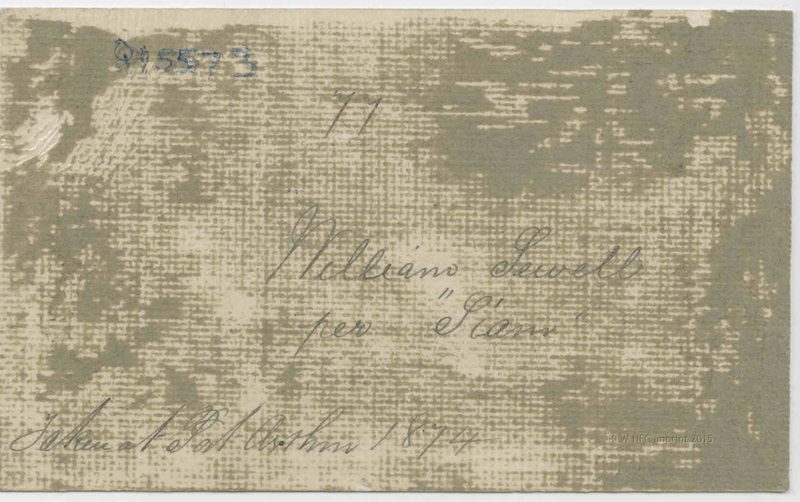 Two soldiers of the 2nd battalion, H. M. 14th Regiment, William Sewell and Ralph Neill arrived at Hobart, Tasmania, in November 1866 from service in the New Zealand wars on board the military ship Siam. Within a year they were were charged with burglary of a hotel in Watchorn Street, and sentenced to 10 years at the Hobart Criminal Court. 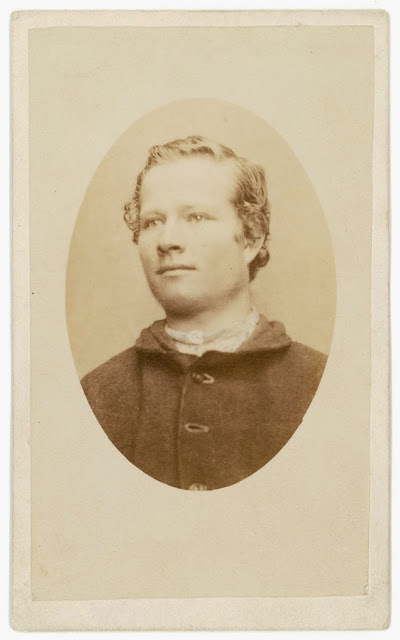 They served seven years, some of that time at the Port Arthur prison and were relocated to the Hobart Gaol, Campbell St. on 25th October 1873 when they were photographed by Thomas J. Nevin prior to release. 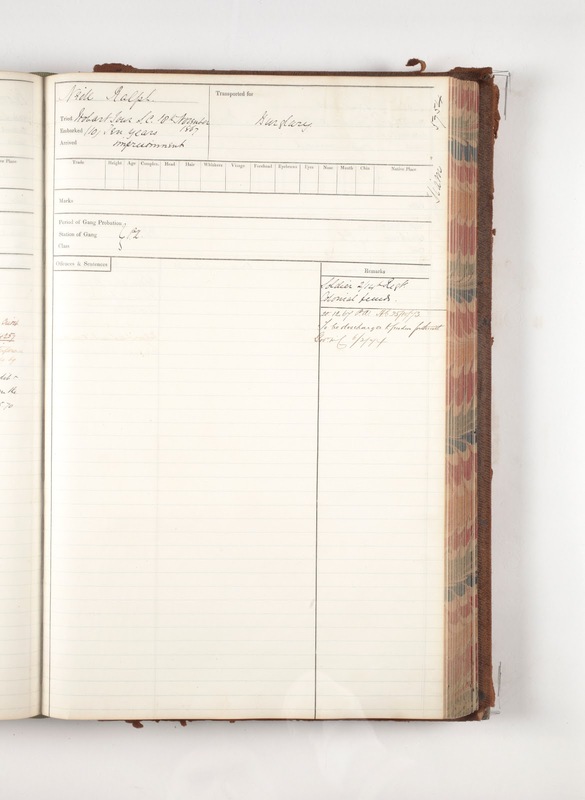 They were discharged to freedom on 6th February 1874. Source: The Mercury (Hobart, Tas. 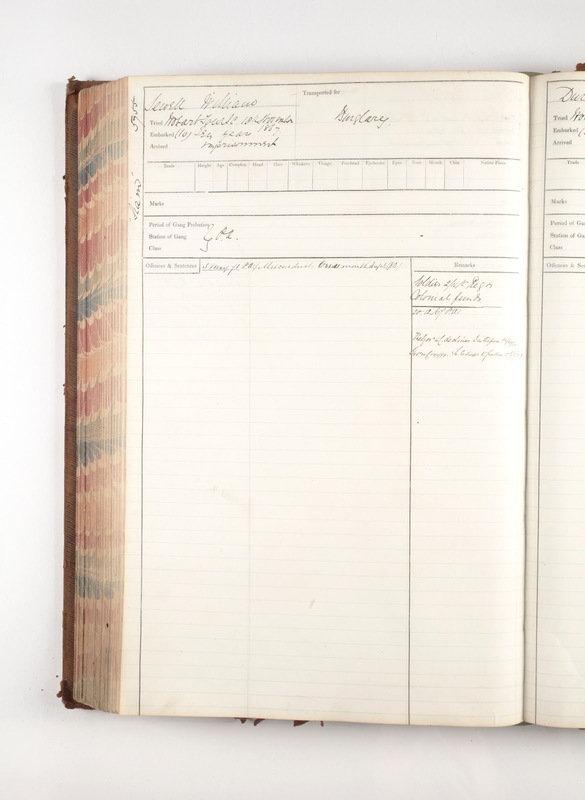 : 1860 – 1954) Sat 24 Nov 1866 Page 3 ARRIVAL OF THE MILITARY. The ship Siam with a detail of the 2nd battalion H. M. 14th Regiment, arrived from Auckland, New Zealand, on the 31st ult. As soon as the vessel anchored the Hon. Colonial Secretary, the Hon. 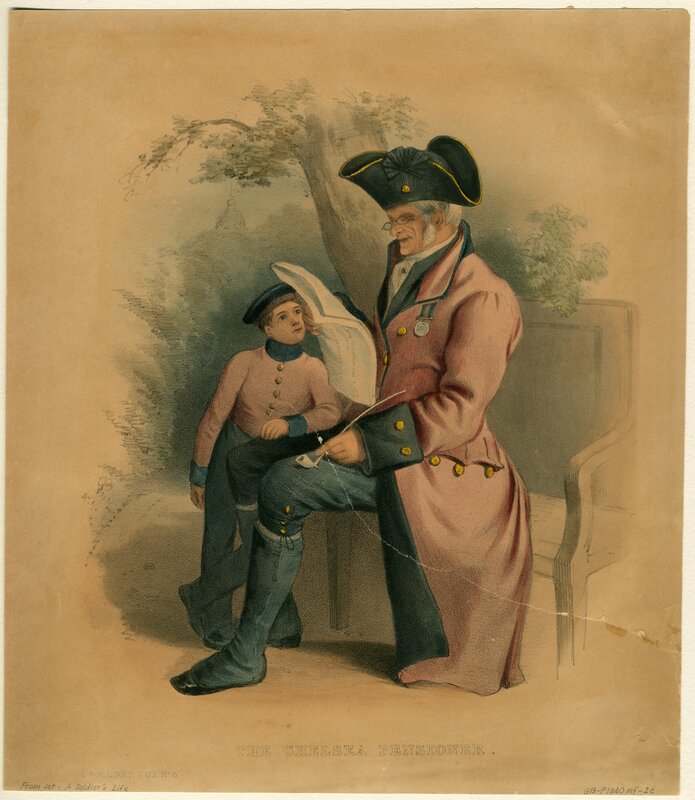 Colonial Treasurer, Mr. John Forster, the Collector of Customs, Lieut. Lloyd, R.E., and D. A. C. G. Hawkins proceeded on board, and arrangements were made for the landing of the troops. The officers in charge are Lieut. Colonel J. Dwyer (commanding), Captain E. W. Saunders, Captain M. D. Morgan, Lieut. 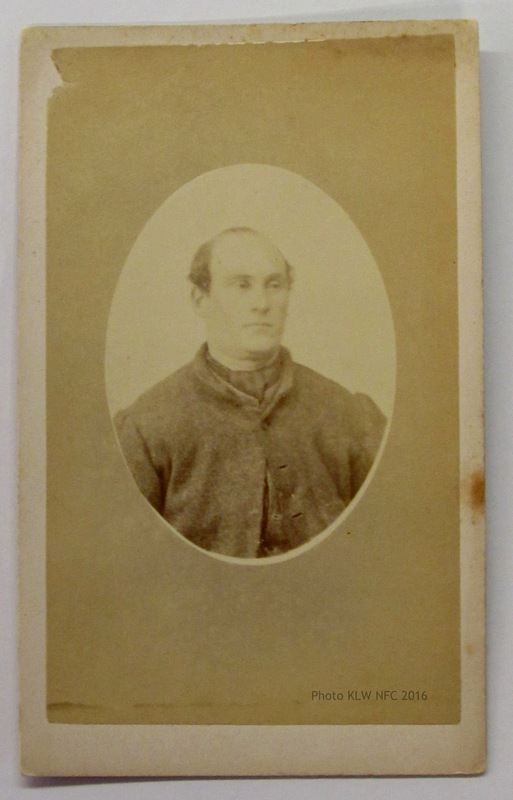 C. T. McMahon, Lieut. 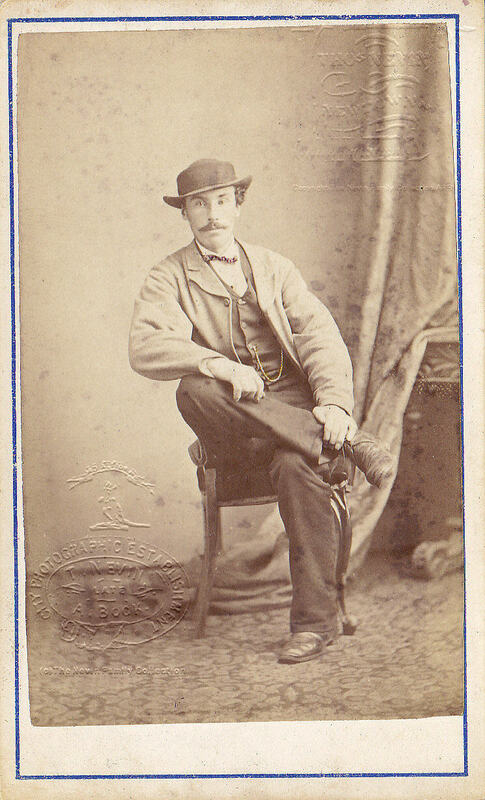 H. E. Whidbourne, Lieut. L. K. Howat, Ensigns Ottley and Toms, and Staff Assistant-surgeon J. Lamb. The ladies accompanying the officers are Mrs. Dwyer, Mrs. Saunders, and two children, Mrs. Whidbourne, and Mrs. Lamb. The force consists of 12 sergeants, 6 drummers, and 244 rank and file ; 30 women and 67 children. On the vessel leaving the wharf at Auckland, the following General Order was handed on board, issued by Major-General T. C. Chute, commanding the forces in New Zealand, respecting the services of the regiment in that colony during the late Maori war. The Major-General Commanding cannot allow the 2nd Battalion 14th Regiment to leave New Zealand for the Australian colonies without recording his sense of the value of their services in this country, during an event-ful period, and more especially in the late operations in which they bore so prominent a part under his own observation. In their gallantry at the assaults on the enemy’s strongholds, and in their exemplary endurance of the unusual fatigues of the march through the forest behind Mount Egmont, they exhibited the highest qualities of brave soldiers. And again would the Major-General acknowledge their distinguished services, the high opinion of the corps which the Major-General formed from witnessing their valor in the field, has been raised still higher, by finding at the recent inspection that their interior economy and discipline are unexceptionable. To Lieut. Colonel William C. Trevor, who bravely led, and still so ably commands them; to Brevet Lieut.Colonel John Dwyer, and to all the Officers, Non-Com-missioned Officers and men, the Major-General Com-manding now bids farewell with the sincerest wishes of their continued welfare. He assures that wherever the second battalion 14th Regiment serves, in peace or war, their future career will also reflect credit on themselves and honor on the character of the battalion. 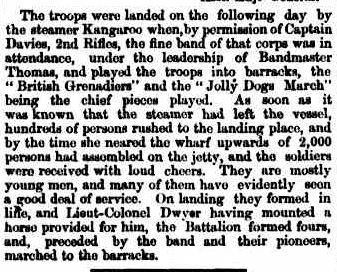 The troops were landed on the following day by the steamer Kangaroo when, by permission of Captain Davies, 2nd Rifles, the fine band of that corps was in attendance, under the leadership of Bandmaster Thomas, and played the troops into barracks, the ” British Grenadiers” and the ” Jolly Dogs March” being the chief pieces played. As soon as it was known that the steamer had left the vessel, hundreds of persons rushed to the landing place, and by the time she neared the wharf upwards of 2,000 persons had assembled on the jetty, and the soldiers were received with loud cheers. They are mostly young men, and many of them have evidently seen a good deal of service. 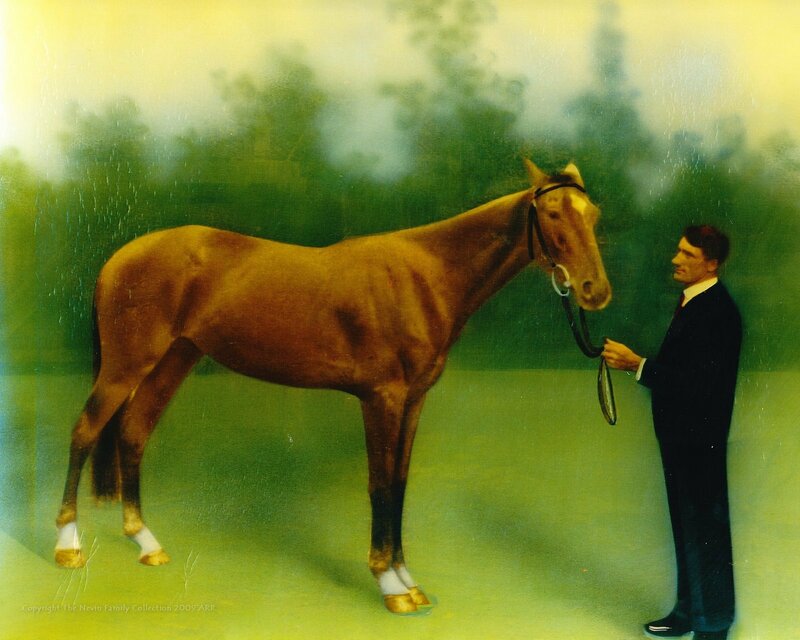 On landing they formed in line, and Lieut-Colonel Dwyer having mounted a horse provided for him, the Battalion formed fours, and, preceded by the band and their pioneers, marched to the barracks. Photo © KLW NFC 2016 ARR. Watermarked. 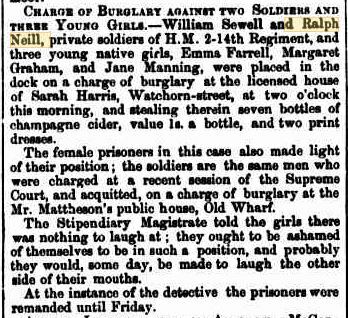 The night on the town with three local “girls” which ended with burglary of Sarah Harris’ hotel, the Royal Oak Inn, Watchorn St. Hobart, for champagne and dresses for their female companions cost William Sewell and Ralph Neill each a 10 year sentence for burglary. Source: The Mercury (Hobart, Tas. : 1860 – 1954) Thu 19 Sep 1867 Page 2 LAW. 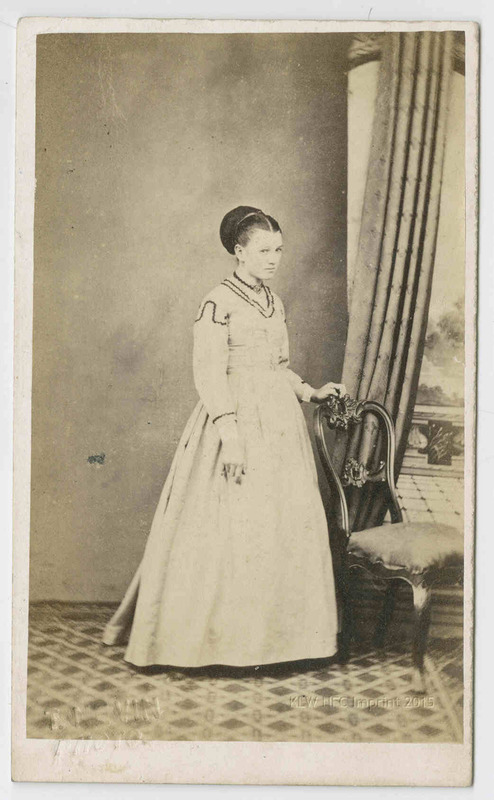 CHARGE OF BURGLARY AGAINST TWO SOLDIERS AND THREE YOUNG GIRLS.-William Sewell and Ralph Neill, private soldiers of H.M. 2-14th Regiment, and three young native girls, Emma Farrell, Margaret Graham, and Jane Manning, were placed in the dock on a charge of burglary at the licensed house of Sarah Harris, Watchorn-street, at two o’clock this morning, and stealing therein seven bottles of champagne cider, value 1s. a bottle, and two print dresses. 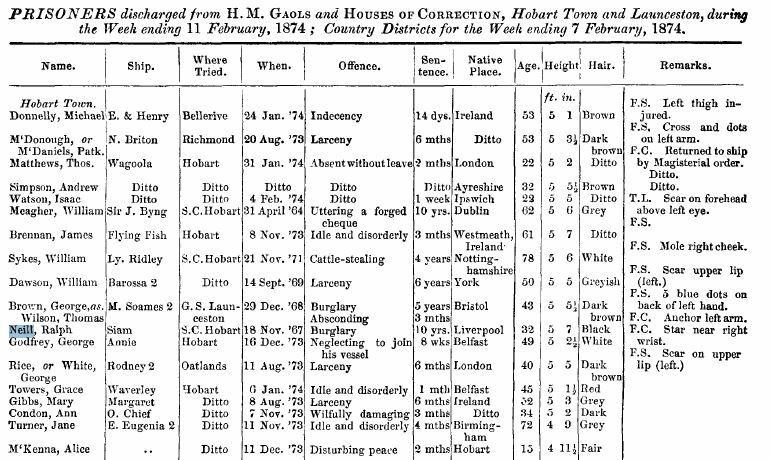 The female prisoners in this case also made light of their position; the soldiers are the same men who were charged at a recent session of the Supreme Court, and acquitted, on a charge of burglary at the Mr. Mattheson’s public house, Old Wharf. The Stipendiary Magistrate told the girls there was nothing to laugh at; they ought to be ashamed of themselves to be in such a position, and probably they would, some day, be made to laugh the other side of their mouths. At the instance of the detective the prisoners were remanded until Friday. 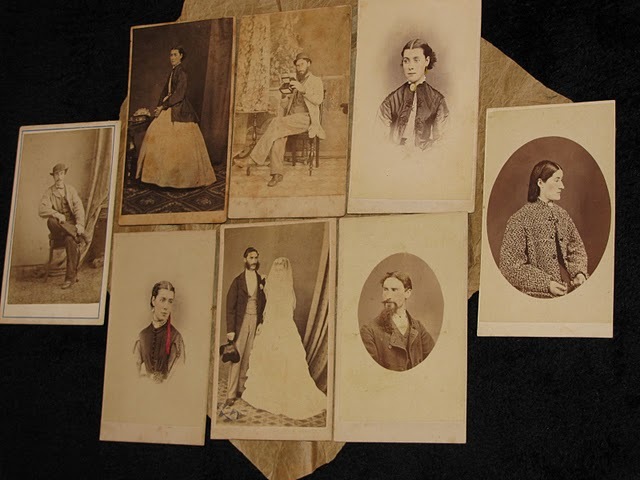 William Sewell and Ralph Neill were both sentenced to 10 years at the Criminal Court, Hobart, in November 1867 for the burglary of seven bottles of champagne cider and two print dresses from Sarah Harris, licensee of the Royal Oak Inn, Watchorn St. Hobart. The laughter from their three female co-offenders whose mirth in the dock considerably raised the ire of the Stipendiary Magistrate may have contributed to their lengthy sentences. 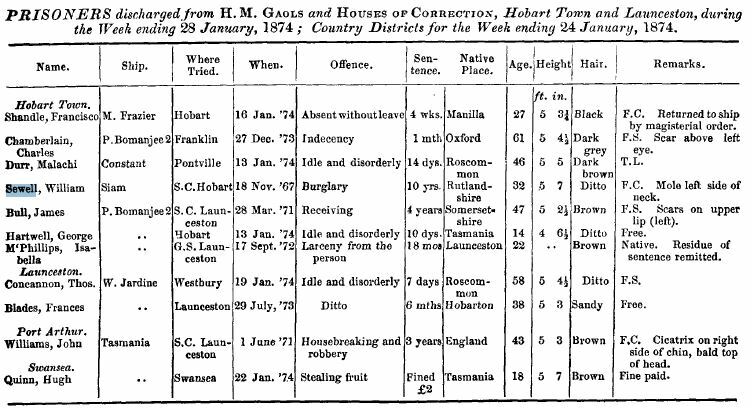 Both convict records below note that these two prisoners, William Sewell and Ralph Neill, whose cost of incarceration came from Colonial Funds, were sent to the Port Arthur prison on 20th December 1867 before being relocated once again to the Hobart Gaol, House of Corrections on the 25th October 1873. 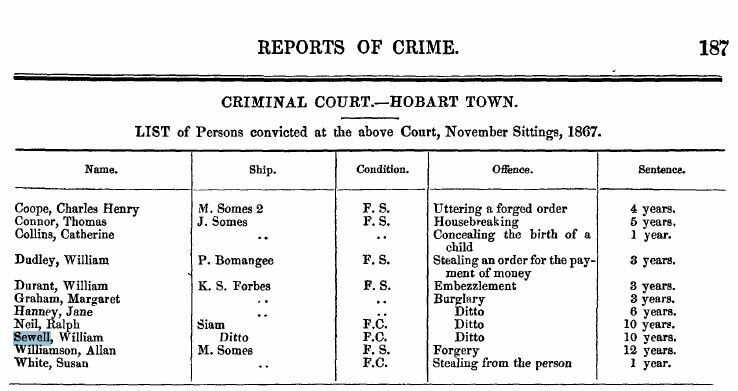 They were therefore remanded at the Hobart Gaol for at least a month from the date of sentencing on 19th September 1867 until their apparent incarceration at the Port Arthur prison on 20th December 1867.but neither Sewell nor Neill were recorded as prisoners at Port Arthur when Attorney-General the Hon. 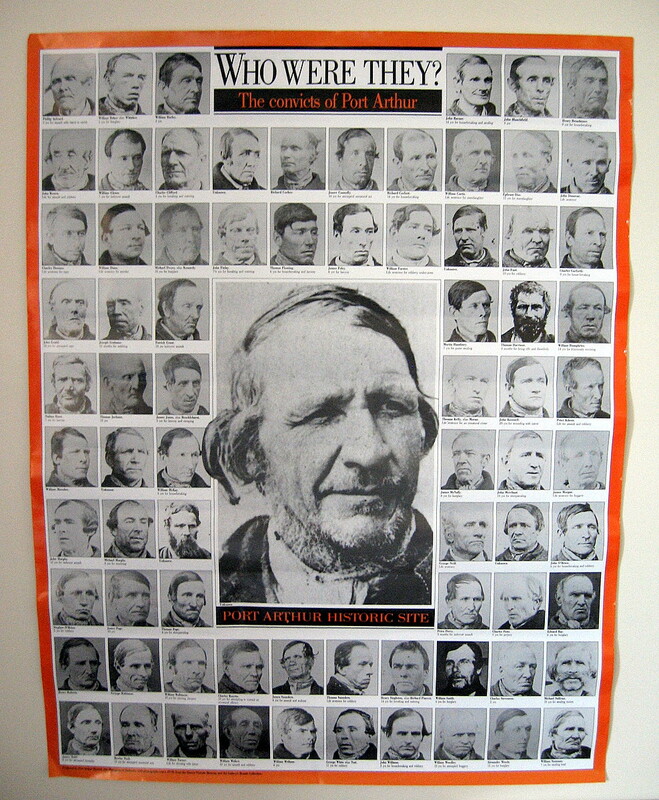 W. R. Giblin tabled the names in Parliament of 109 prisoners sent to Port Arthur from 1871 and tabled to return by October 1873 to the Hobart Gaol. 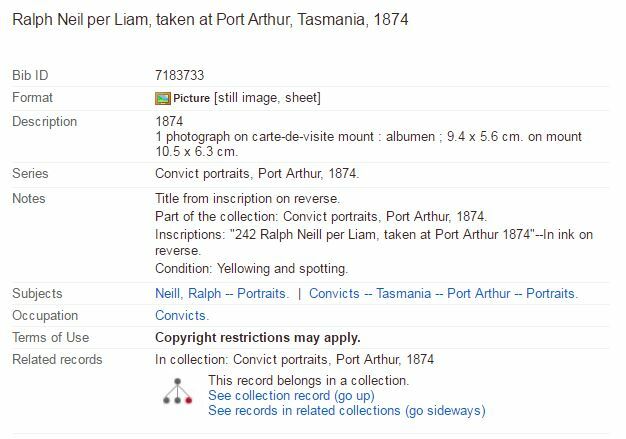 Both ex soldiers of the 2/14th Regiment were 32 years old when released from the Supreme Court, Hobart. 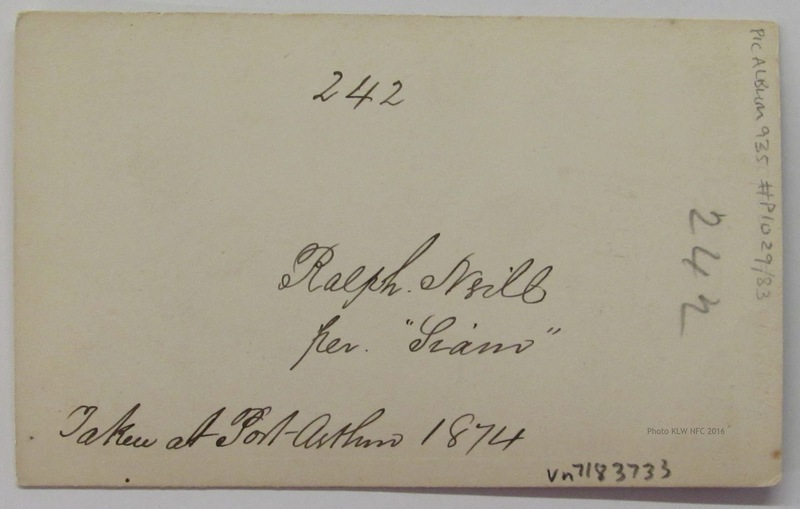 William Sewell was discharged a week earlier than Ralph Neill. 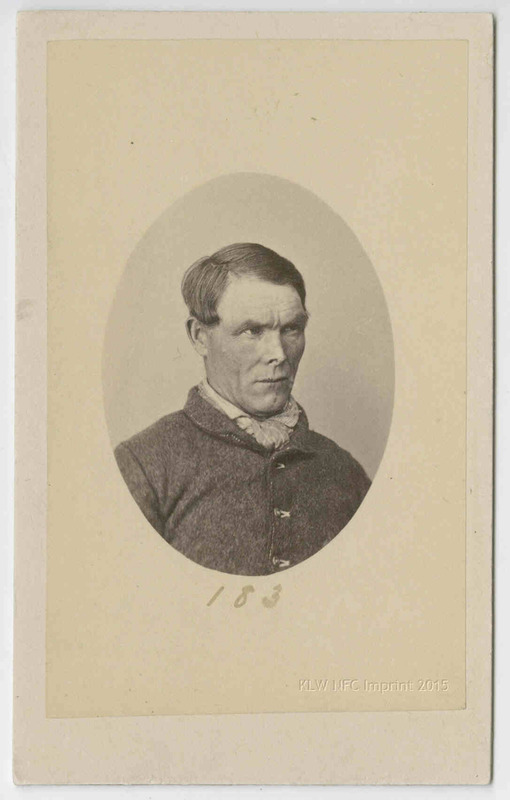 His native place was listed as Rutlandshire, his height recorded as 5 feet 7 inches, hair dark brown, and a mole was noted on the left side of his neck. 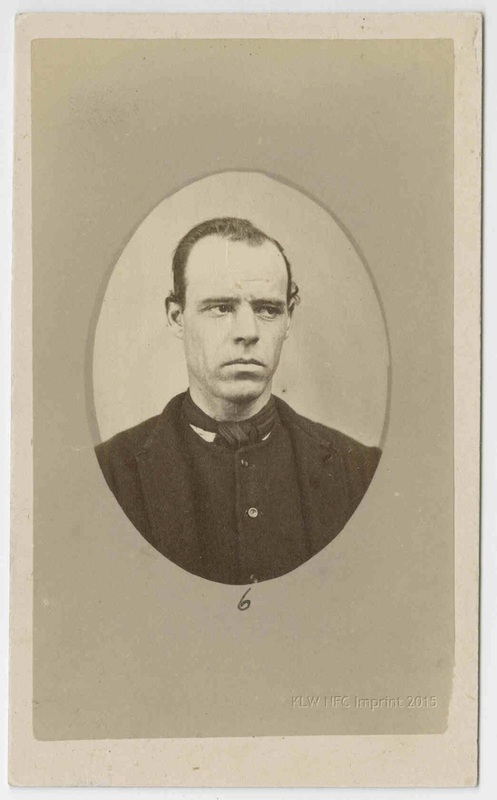 William Sewell was discharged from Hobart on the 28th January 1874.